Real-time systems are computer systems where the correctness depends not only on computing the right result but also on computing the result at the right time. This creates new dependencies. For example, consider two processes that do not share data and do not exchange messages and where there are no real-time requirements. Then, it is possible to prove the functional correctness of one process without considering the other. Suppose now that they have timing requirements and the two processes are scheduled on a single processor. From a timing verification perspective, the two processes are now dependent. For this reason, it is necessary to develop algorithms for scheduling processes so that the timing requirements are considered when making scheduling decisions. This is called real-time scheduling. For a given scheduler and for a given software system, it is also necessary to prove that for all possible interleavings that can be generated at run-time, all timing requirements are met. This is called schedulability analysis. Cyber-Physical Systems are computer systems where the computer system and its physical world are linked, either intentionally (the system was designed with this linking to attain better performance) or unintentionally (the designer thought that there was no linking but there actually was and this causes new types of faults). About real-time systems: I have worked on real-time scheduling for multiprocessors, especially multicore processors. I am interested in schedulability analyses that are more expressive than the ones that are available in the research literature right now. About cyber-physical systems: I have developed WiDom --- a medium access protocol for wireless channels --- which makes it possible to apply the fixed-priority scheduling theory to wireless channels. 23rd IEEE International Conference on Embedded and Real-Time Computing Systems and Applications (RTCSA 17), 2017. Journal of Systems Architecture, special issue ``Real-Time Embedded Systems Design and Analysis'' on papers from RTCSA'17. ACM Transactions on Cyber-Physical Systems, special issue ``Real-Time aspects in Cyber-Physical Systems'' on papers from RTCSA'17. 15th IEEE International Conference on Embedded Software and Systems (ICESS 2018). 2018.
International Conference on Embedded Wireless Systems and Networks, 2017 (formerly called EWSN). 23rd IEEE Real-Time and Embedded Technology and Applications Symposium. 2017. 14th IEEE International Conference on Embedded Software and Systems (ICESS 2017), Design Methodology and Tools Track. 2017. DECPS: The First ESWeek Workshop on Declarative Embedded and Cyber-Physical Systems, 2017.
International Conference on Embedded Wireless Systems and Networks, 2018 (formerly called EWSN). 24th IEEE Real-Time and Embedded Technology and Applications Symposium. 2018. 24th IEEE International Conference on Embedded and Real-Time Computing Systems and Applications. 2018. 25th IEEE International Conference on Embedded and Real-Time Computing Systems and Applications. 2019. 40th IEEE Real-Time Systems Symposium. 2019. H. Kim, D. de Niz, B. Andersson, M. Klein, O. Mutlu, and R. (Raj) Rajkumar, ``Bounding and Reducing Memory Interference in COTS-based Multi-Core Systems,'' Real-Time Systems. May 2016, Volume 52, Issue 3, pp 356-395. D. de Niz, B. Andersson, H. Kim, R. Rajkumar, M. Klein, and L. Phan, ``Mixed-Criticality Processing Pipelines,'' in Design, Automation and Test in Europe (DATE'17), Lausanne, Switzerland, March 27-31, 2017. Bjorn Andersson, Dionisio de Niz, Mark Klein, John Lehoczky, and Ragunathan (Raj) Rajkumar ``Real-time scheduling for cyber-physical systems,'' in Cyber-Physical Systems, edited by Raj Rajkumar, Dionisio de Niz, Mark Klein, 2017, ISBN-13: 978-0321926968, ISBN-10: 032192696X. B. Andersson and D. De Niz, ``Coordinating Mechanisms for more Predictable Memory Accesses,'' presented at Second TCRTS Workshop on Certifiable Multicore Avionics and Automotive Systems (CMAAS), April 21, 2017. B. Andersson, S. Chaki, and D. De Niz, ``Combining Symbolic Runtime Enforcers for Cyber-Physical Systems,'' in Proceedings of 17th International Conference on Runtime Verification (RV'17), Seattle, USA, September 13 – 16, 2017. B. Andersson and G. Raravi, ``Journal articles never presented on conference: Provably Good Task Assignment for Two-type Heterogeneous Multiprocessors using Cutting Planes,'' in IEEE Real-Time Systems Symposium, Session for Journal articles that have not been published in conferences, December 5-8, 2017, Paris, France. B. Andersson, H. Kim, D. de Niz, M. Klein, R. (Raj) Rajkumar, and J. Lehoczky, ``Schedulability Analysis of Tasks with Co-Runner-Dependent Execution Times,'' ACM Transactions on Embedded Computing Systems, Vol. 17, No. 3, Article 71. May 2018. D. de Niz and B. Andersson, ``Processing Enhancement and Virtualization for Cyber-Physical Computations,'' in 1st NGOSCPS Workshop at CPS-IoT Week 2019. I completed my Ph.D. in Computer Engineering (2003) and my M.Sc. 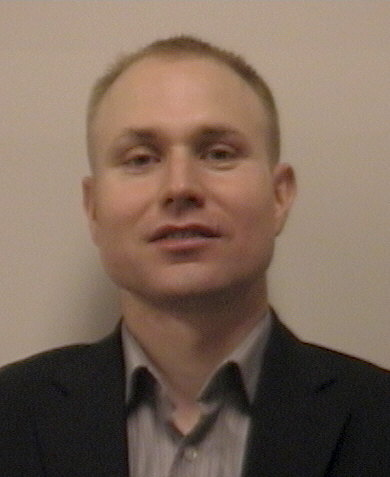 (1999) from Chalmers University in Gothenburg, Sweden and then started and lead the Multicore Research Line at Polytechnic Institute of Porto. And then I joined the Software Engineering Institute at Carnegie Mellon University as Senior Member of Technical Staff and then became Principal Researcher. At the SEI I have been working on: (i) principles for Cyber-Physical Systems and (ii) real-time scheduling on multicore processors.